Star Yachts Ltd :: All boats are hand built to order at the Underfall Yard, Bristol. "we are set up to build to every customers specific requirements"
Star Yachts Ltd has brought together the experience of long term shipwrights and young talents in a new company. 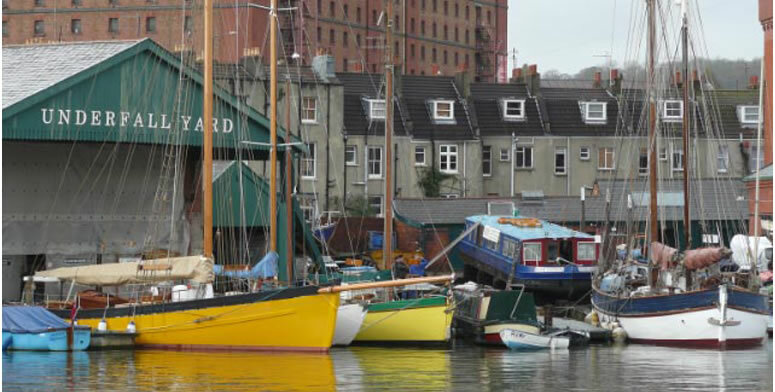 We are based in the historic Underfall Yard (main picture) in Bristol Docks. Underfall Yard was restored from a derelict state into a thriving boatyard of separate small companies around a Trust operated Slipway. Win Cnoops (inset picture), was the main contractor in 1997 in replicating the wooden 1880 slipway cradle, capable of lifting 180 tons and is still responsible for all slipping. He also is involved in the day to day management of Underfall Yard. Win’s work varied from building one of the Cornish Pilot gigs for the Bristol Gig Club to repairs on classics like Uffa Fox’s ‘Vigilant’ and making the wonderful changing shapes of the stern windows of Isambard Brunels ‘SS Great Britain’. 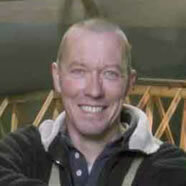 The Bristol 22 was our first collaboration with the prolific and well known designer Andrew Wolstenholme, who is now responsible for all the other designs of motor launches on this website. Some of the designs here are for economically powered displacement launches, others are designed as fast semi displacement hulls. As every boat we build is an individual from start to finish because of your own input, we want to emphasise that if you don’t find in these pages what you are looking for, we are more then happy to discuss your specific requirements and make your own dream boat come true! That’s how nearly every design we have built has come about. Our use of the modern wood/composite construction means we are not limited to a specific fibreglass hull design. Every boat we build is a one-off and can be changed as much as you want.